It’s not uncommon to think that the latest season is always the best. If the plot didn’t improve, you sure can bet on everyone involved getting more attractive. True Blood had a explosive start and kept raising the bar higher with each episode. In every way. Each season had its own issues, and season four was no exception: the fairies weren’t all that interesting, Arlene and Terry’s baby thing with the spirit could’ve been done better (or entirely skipped), and we didn’t really need Antonia (just some badass witches would be fine). But it also had its flashes of brilliance: a hilarious brain damaged Eric (as Bill so affectionately said), Sam’s lost younger brother Tommy and his parents, the Jason-Jessica-Hoyt triangle thing, more political motifs, Alcide’s kickass wolfpack… even Debbie was great. Season four was the one that better embodied the true meaning of suspense, so far. Each episode started with the feeling of expectation left by the previous one, and evolved in a web of thrills that seemed to solve the matter at hand, until the last minute, when another issue rises and leaves you with the biggest cliffhanger imaginable. Problem is, that also happened in the final episode, and season five won’t premier until June 2012! Russel Edgington is walking amongst the living again. I knew they should’ve killed himReverend Newlin, who is now a vampire, and appears to have added revenge to his craziness, is also back. Things between Jessica and Jason will definitely get complicated. Some relationship between Sookie and Alcide, that may evolve into something sweet, but doomed for sure. Tara won’t die, she just can’t. Let me believe it was just a huge scratch. Terry may go insane, just like Rene’s ghost said. He’s one of my favorites, so it should be interesting. Bill and Eric… can it last? Meh. 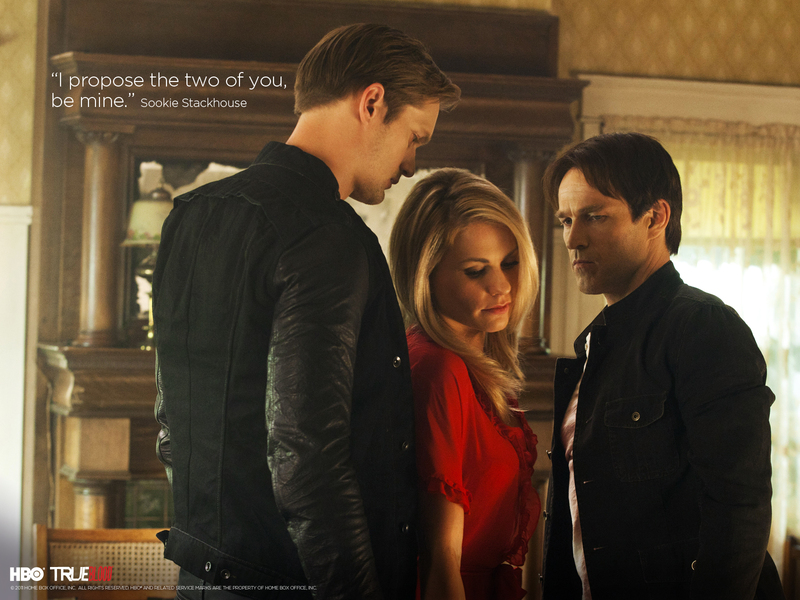 As for the love triangle, Sookie said it best: what a mess. I really have no idea how that can be solved. Unless one of them dies.